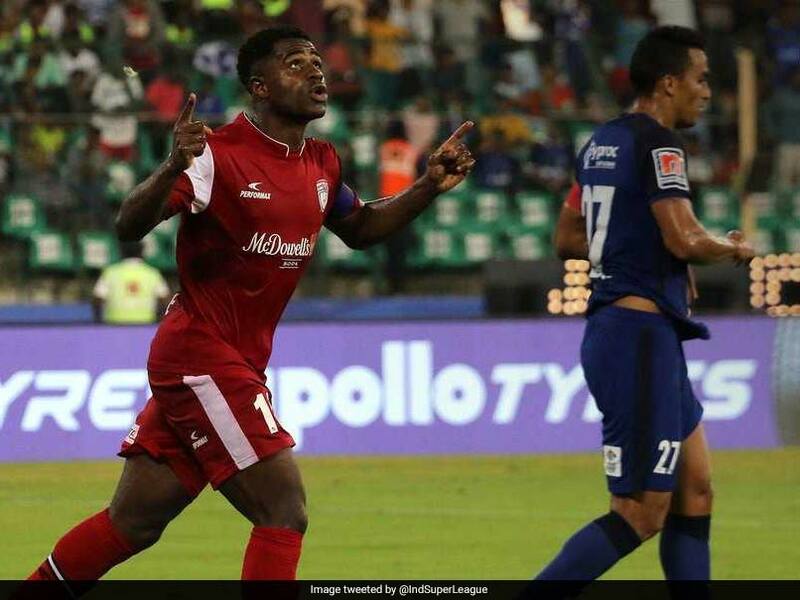 Bartholomew Ogbeche scored a hat-trick for NorthEast United FC against Chennaiyin FC in an Indian Super League match. 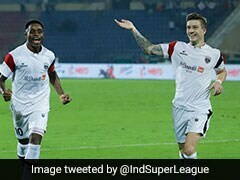 NorthEast United upstaged reigning Indian Super League (ISL) champions Chennaiyin FC in a seven-goal spectacle at the Jawaharlal Nehru Stadium in Chennai on Thursday. 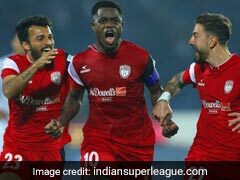 A hat-trick from star striker Bartholomew Ogbeche (29th, 37th, 39th minute), the second-fastest in the ISL, had pulled the visitors level in the first-half after a Rowllin Borges own goal (4th) and a Thoi Singh brace (15th, 32nd) had propped Chennaiyin FC up. 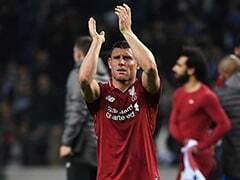 Borges made amends for his mistake by netting the match-winner early in the second half. 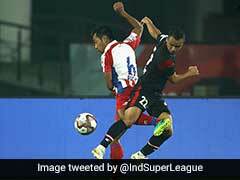 Though NorthEast started dominating possession, it was Chennaiyin who struck again. In the 15th minute, Jerry Lalrinzuala spotted Issac's run down the left and sent in a wonderful through-ball for the winger to latch on to. Issac surged forward and squared the ball for Thoi who finished the move. 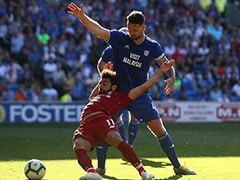 First, he out-jumped Francisco Fernandes to meet Borges' cross and steered it home. Minutes later, he met Gallego's wonderful through ball and rounded the keeper before rolling the ball into the net. 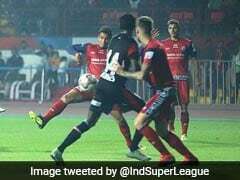 Chennaiyin coach John Gregory threw in Jeje Lalpekhlua in a bid to conjure up an equaliser. 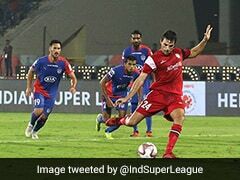 He almost got on the end of a header from Andrea Orlandi in added time but just could not steer it in as Eelco Schattorie's team held on to register a famous victory.